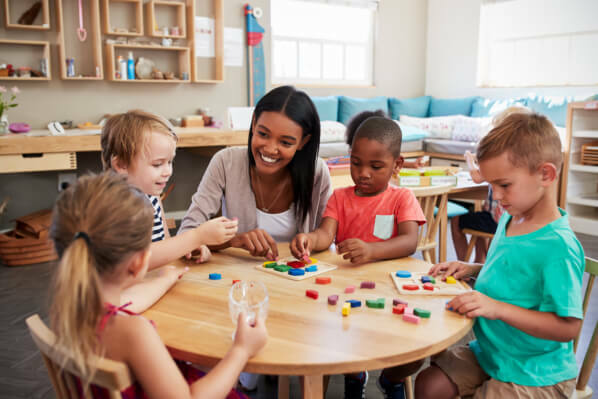 When parents reach the point when they have to select the ideal preschool in Virginia for their little one, here are recommendations we can share. Every parent has a personal preference for how they want their child to learn and develop. You have to consider that preference so you will be able to have the confidence in the childcare center that you will be entrusting your child to. Along with that, consider also your child’s personality. Pay attention to the kind of young person that they are and perceive what kind of programs and training are right for them. You have to remember that your child has unique learning personality. Nobody else knows your child better than you. Because of this, research well on the type of learning environment that is fit for your child’s educational needs. You can use the Internet to gather online reviews or even seek recommendations from your trusted friends and relatives. When your heart is confident in that particular program you’re considering, it’s already a good indication. Remember also, dear parents that the reason you would want your child to study is for them to be equipped with the right learning tools so they can grow to become skilled or knowledgeable in their chosen craft. When you select for that day care center or bilingual preschool in Virginia, consider this criterion. Seek for that learning environment where you can also be confident that your little one will be able to build a strong learning foundation for their future. To help you identify this, interact with the school’s administrative staff and teachers. Discover what their teaching philosophy is and whether or not their programs are child-centered. When they’re giving high value on the learning needs of your child, then it’s already a good indication. Are you a working parent? Most of the parents today are already working together to be able to provide for the basic needs of the family. When both parents are working, their child can be entrusted to a bilingual daycare in Washington, DC where the child can have a productive day while mom or dad is out at work. Consider a learning environment where you can weigh the schedule of your child’s attendance. Will it be a full day or a half day? Whichever you will choose, remember also that your child has personal and individual needs. These needs can affect their effectiveness when it comes to their schedule. Even if you may want it for a full day but they can only manage for some hours, you may need to stick to the half day instead. What’s important is that you’re consistent with what the learning episode that works best for your child. When you’ve weighed this part, it’s already a good indication. At Early Steps Bilingual Preschool, we invite you to visit so you’ll see whether we have met these basic recommendations or not. This entry was posted in Choosing a Preschool and tagged Childcare Center, Day Care Center, Early Education, Learning Environment. Bookmark the permalink.